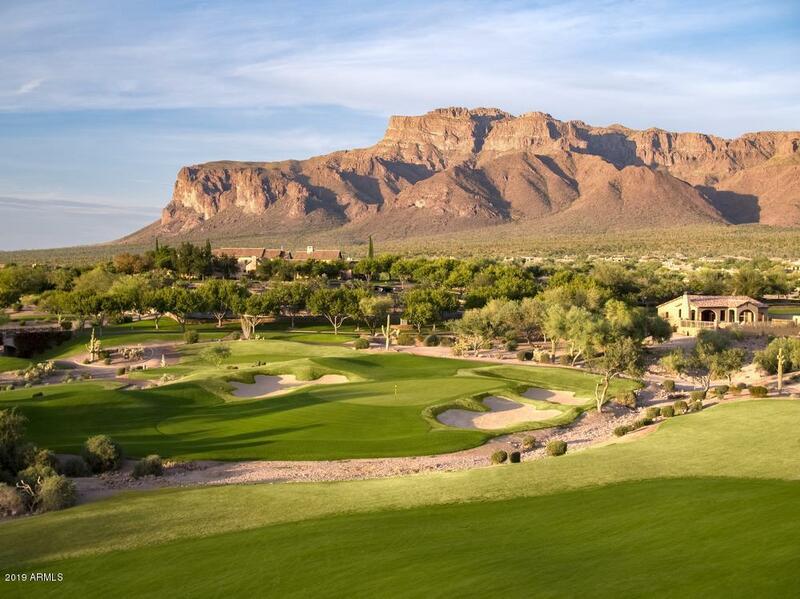 PHOENIX OPEN TEMPORARY PRICE REDUCTION! Limited time only at this price, this is a .74 acre custom home site in Superstition Mountain Golf & Country Club in scenic Gold Canyon. At Lot 44 Petroglyph Estates, you will enjoy breathtaking views all around, this is a flat, easy build lot for your future dream home. Several $1 mil+ high quality custom homes in the area. No required build time, you can make your plans at your own pace. Plan for quality lifestyle in this beautiful community that includes two 18 hole Jack Nicklaus golf courses, fitness center, tennis, pool and spa, endless activities and more! Membership is optional and under separate agreement.